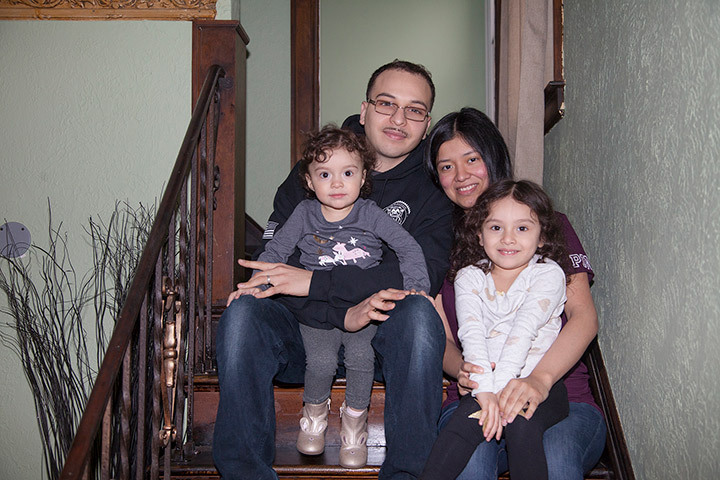 Elfido and KIm Castillo with their two daughters in their new home. Elfido and Kim Castillo are a young couple with deep roots in southwest Detroit. 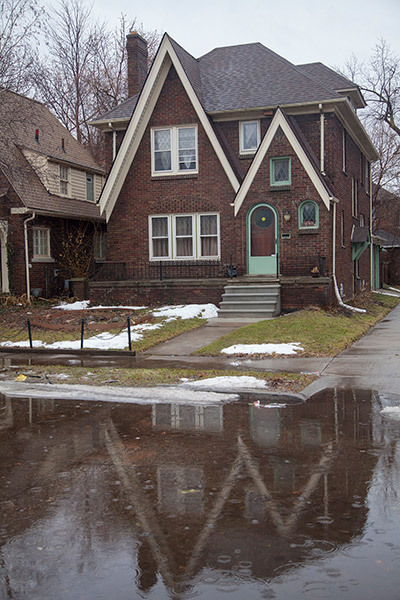 The Castillos’ home in southwest Detroit. Elfido grew up in the neighborhood near the Woodmere Cemetery. Kim grew up about three miles away, close to Clark Park. Both attended Western International High School, although they did not meet until after each had graduated. They married in 2013 and started a family. Last year, the Castillos decided it was time to buy a home. 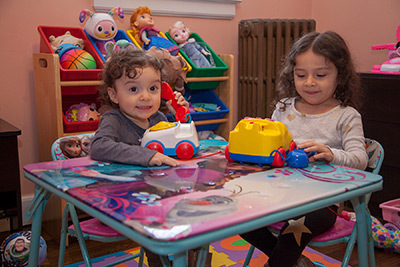 Last spring, Elfido saw a vacant house with good potential in the Woodmere area, and wondered about purchasing the home and getting a mortgage to renovate it. He contacted the mortgage lending program at Southwest Solutions, called Southwest Lending Solutions, and spoke with loan officer Ken Korejwo. Ken asked Southwest Solutions’ real estate development department about the vacant house. He found out that Southwest Solutions, coincidentally, had acquired the house from the National Community Stabilization Trust (NCST). The NCST facilitates the transfer of foreclosed and abandoned houses from banks to community organizations, which are then responsible for rehabbing and reselling the houses to help stabilize neighborhoods. Southwest Solutions has rehabbed about 600 “REO” houses in the metro Detroit area, including 72 last year. Ken suggested ways for Elfido to help improve his credit score so he could secure the loan amount he needed, while the Southwest Solutions’ REO program began its renovation work on the home. Elfido also completed the online homebuyer education course offered through Southwest Solutions. The home’s sale price was $65,000, and Southwest Lending Solutions’ loan processor Sherry Dragone helped Elfido close on the mortgage. Home Builders Association of Southeastern Michigan, an association of home builders and remodelers, awarded grant funds to Southwest Solutions that were used to make needed home repairs. Elfido and his wife Kim chose materials and colors for the interior, which needed significant rehab work. The house was completed in January, and the family moved in at the beginning of February. The Castillos two daughters in the play room of the family’s new home. The Castillos have two daughters, ages 2 and 4. Elfido is currently completing his associate’s degree in criminal justice. Kim will return to earning her nursing degree when both the children are in school.